The smaller more compact version of the popular Madeline satchel from Maison du Sac Paris. 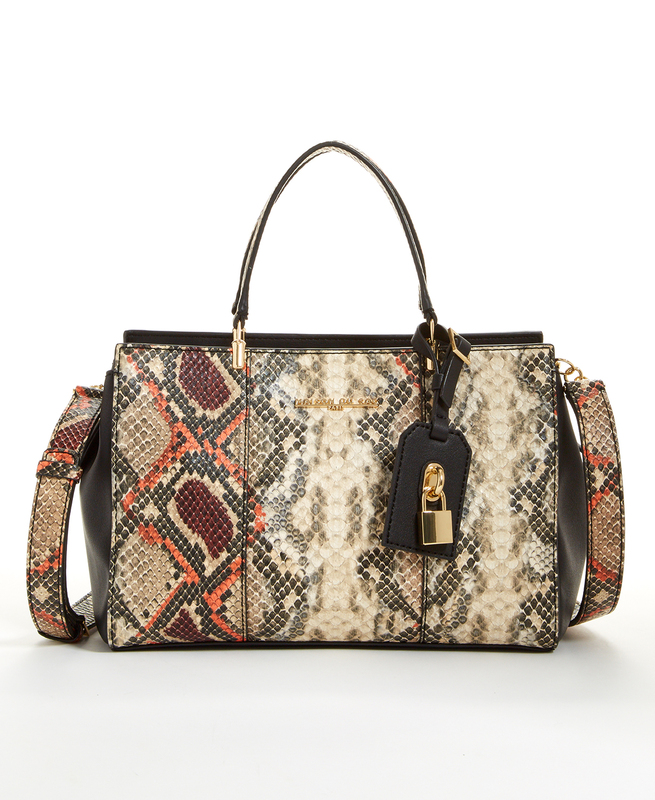 This style is offered in both Harvest Python and Black Croc. Features Light Gold hardware embellishments. Product Features: Adjustable shoulder strap 22.75" Double top handles 4" drop Fully lined interior with pockets Product Specifications: 10" x 7" x 5.75" Material: Synthetic Leather Imported.